The Canadian government has announced more funding to help people arriving in Canada to ensure their language skills are stronger. Canada’s Citizenship and Immigration Minister Chris Alexander said that the support is for newcomers as they acquire language skills, find work and integrate into the community. ‘By giving immigrants the tools they need to succeed, we are helping to build a stronger community and a stronger economy. Study after study confirms that being able to speak English or French is key to ensuring newcomers to Canada can contribute more fully and provide for their families more quickly,’ explained Alexander. The Language Instruction for Newcomers to Canada (LINC) programme allows colleges to offer full and part time training to thousands of people and the latest funding stream of $16.2 million over three years adds to this. The programme is for adults who are permanent residents and has been around since 1992 and more than 60,000 newcomer’s nationwide benefit every year. A 2005 Statistics Canada study found that employment rates of immigrants increased with their ability to speak English and that language proficiency had the biggest impact on their ability to find employment in a high skilled job or in their intended field. In a 2009 Compas Research survey on strategies for integrating internationally educated professionals into the Canadian work force, 87% of employers cited inadequate language skills as the top barrier preventing the foreign educated from finding suitable employment. A 2008 Statistics Canada study found that literacy skills play a role in the wage gap between Canadian born workers and newcomers to Canada. 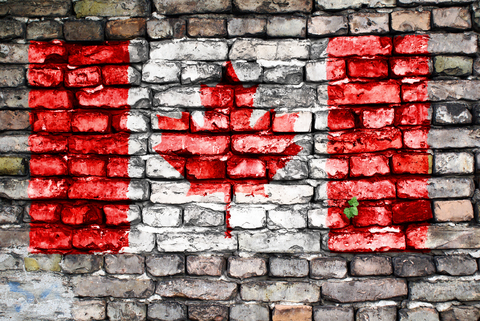 Meanwhile, Citizenship and Immigration Canada (CIC) is starting to return fees which were paid to the Department for Federal Skilled Worker (FSW) applications affected by the Government of Canada’s Jobs, Growth and Long Term Prosperity Act. If you applied before 27 February 2008 and have not heard from CIC about whether a decision based on FSW programme selection criteria was made on your application, you may be affected by this new law. ‘If you fall under this category, CIC needs to verify your contact information is up to date so that your fee return will reach you at your current address,’ a spokesman said, adding that applicants should make contact if they have not heard. ‘Communicating with us electronically is the best and easiest way to have your fee return processed. Due to the large number of affected applicants, the fee return process may take some time from the date your form is received by CIC to the issuance of your cheque. We appreciate your patience,’ the spokesman added.